It went to see one place of the recollections at the time of an elementary school on the one visit-to-a-grave occasion. 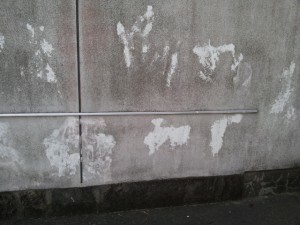 A picture is the trace which was scribbled and found in the wall of the public hall of a town by can spray, and was used as it white at the time of elementary school about 4. It is to still have remained, although about 20 year has passed. What days and months pass over those days is the grade-school years felt long. What is it as the last school education which received education directly? a corporation is carried out and a few can contribute to a country and area service industry etc.